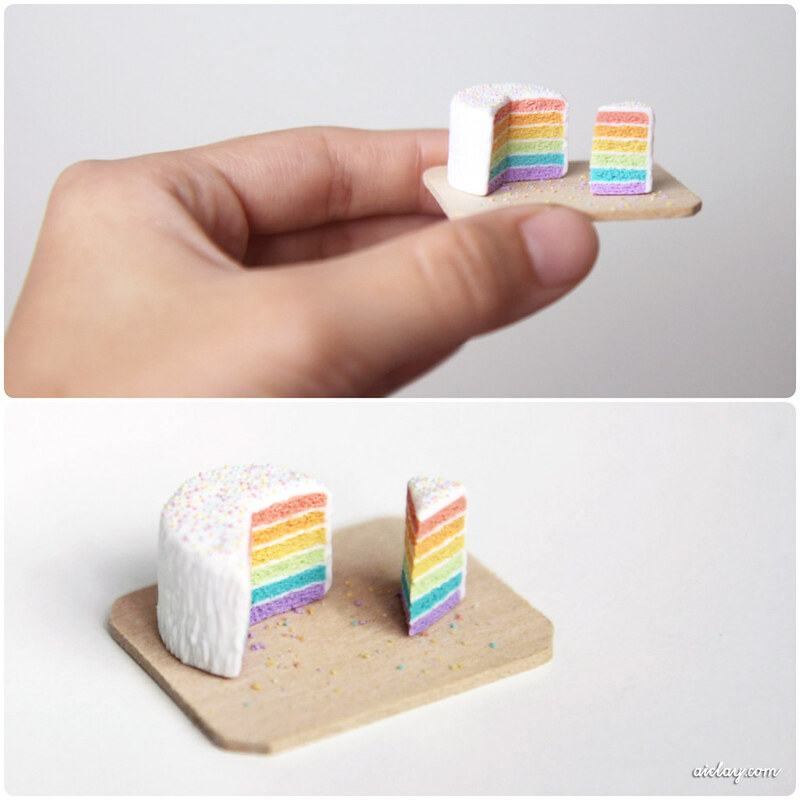 AiClay - a Haven of Miniature Food: A tiny rainbow cake. Many times I get inspired by the beautiful food photography I see in social media, but rarely do I actually get down to sculpting them. 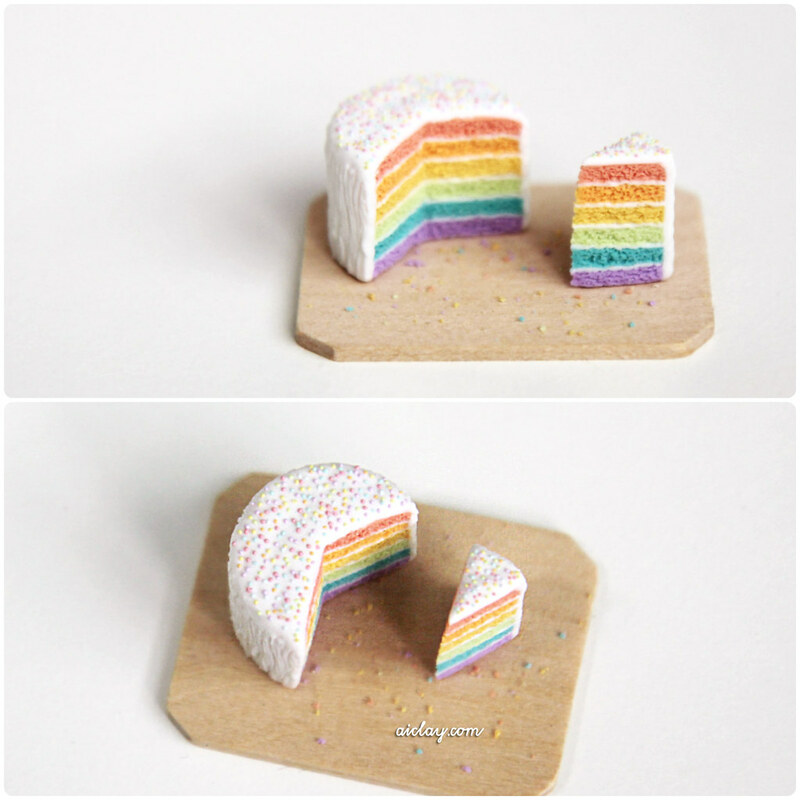 But just a few days ago I spotted Yina's (a lovely Singaporean blogger) photo of a rainbow cake. It was just too gorgeous a photo and I was immediately drawn to all the colours on that delicious-looking cake. I then set about to miniaturise the cake, not entirely identical but largely inspired by it hmm. Also, I actually had the intention to make the plate as well together with drawing the snowman in 'chocolate sauce' but with another project awaiting, I guess this would have to do for now. Just 2 days till the last workshop for the year, and less than 10 days before I fly off to New York. Wow, everything seems to be happening in fast motion suddenly. Hope everyone's doing well, and basking in the joys of December! Beautiful! 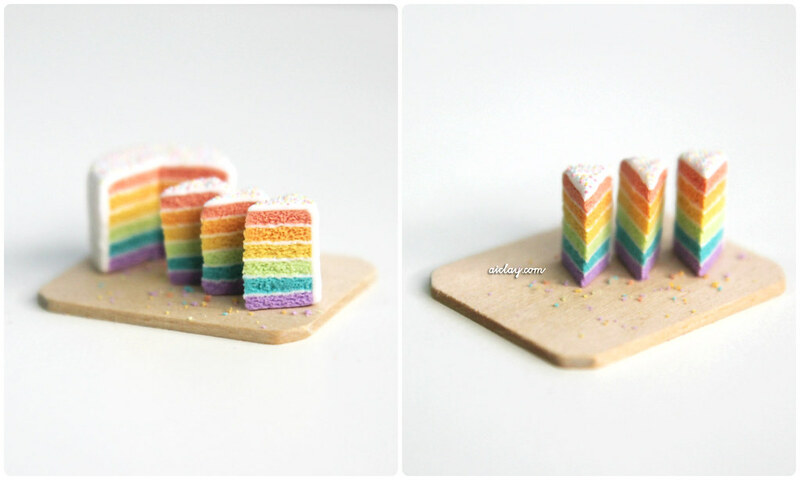 I love rainbow cakes.